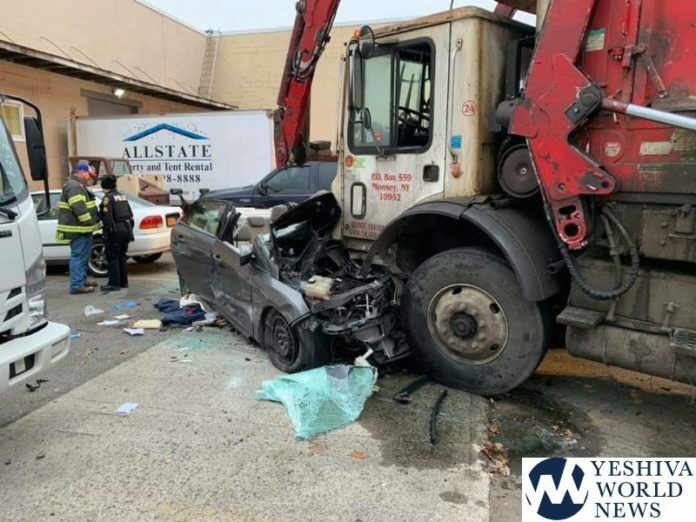 A serious crash involving a Monsey garbage truck has left a man in critical condition, Monday morning. 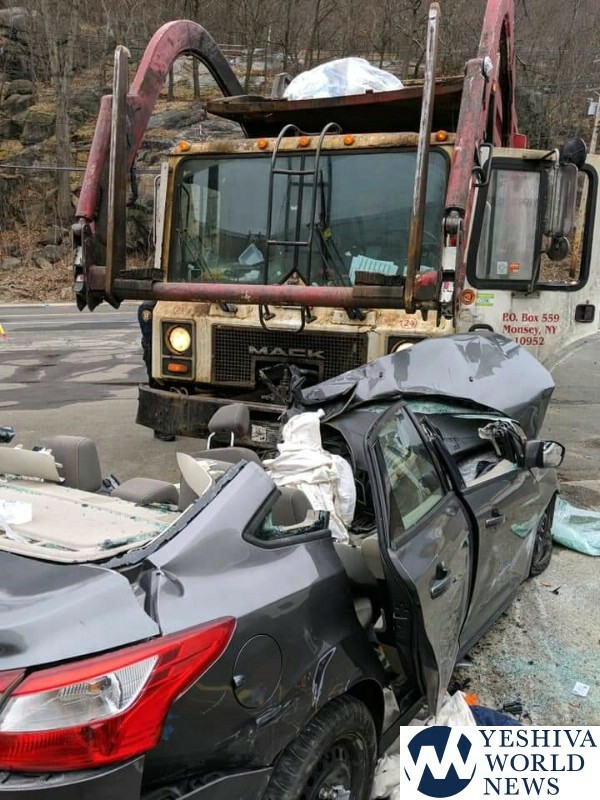 Ramapo PD says the crash occurred at about 6:45AM on Route 59 near Hillburn. 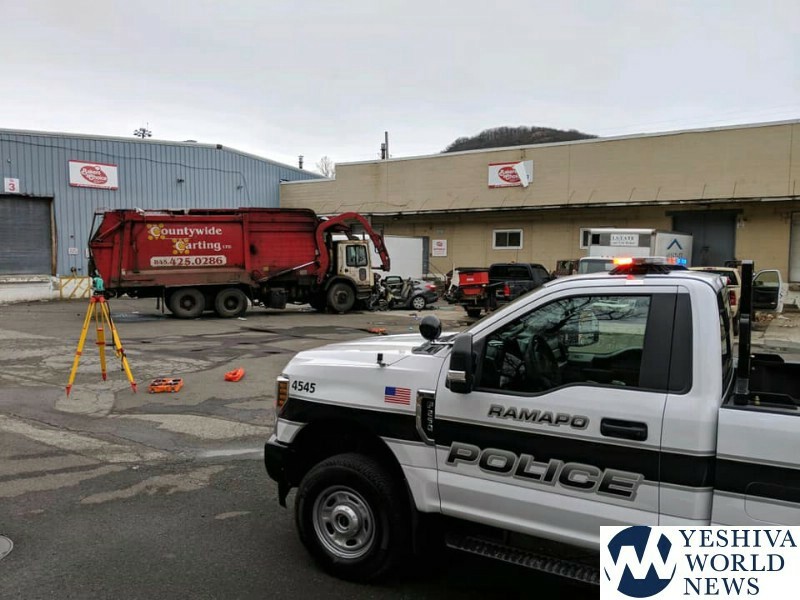 According to the police investigation, it appears a garbage truck was travelling northbound when it swerved into the southbound lanes, striking a small sedan head on. 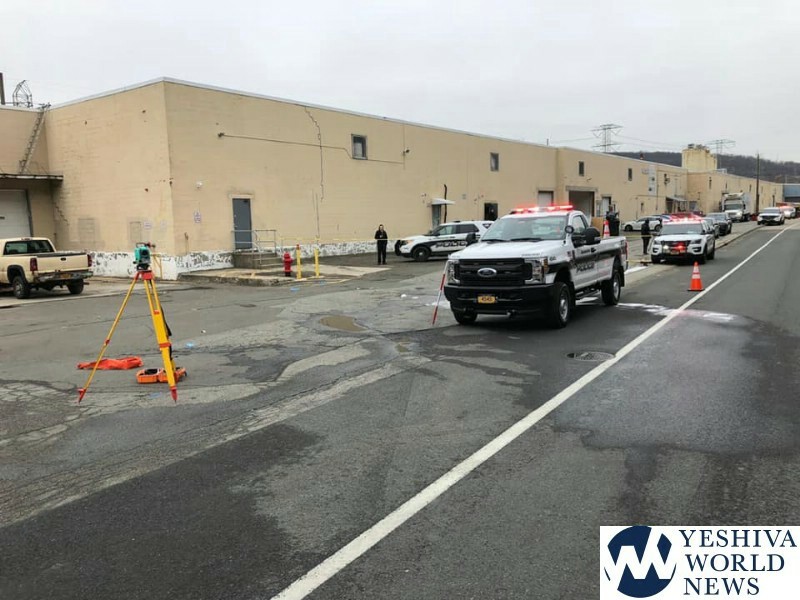 The truck pushed the car into a parking lot adjacent to Route 59. 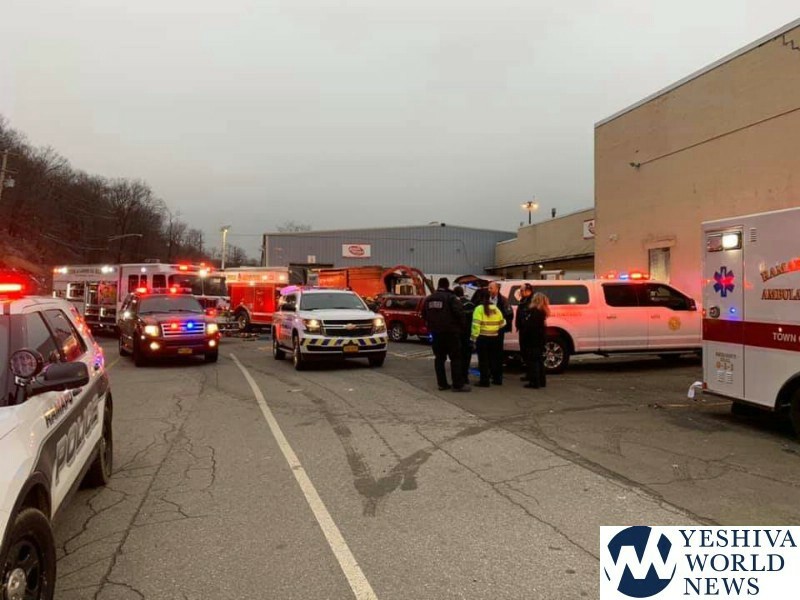 The driver of the car – a man from Warwick NY – was heavily entrapped in the vehicle, and required extrication by emergency personnel from Tallman, Hillburn and Suffern Fire Departments. He was rushed by Ramapo Valley Ambulance to Hackensack Medical Center in critical condition. 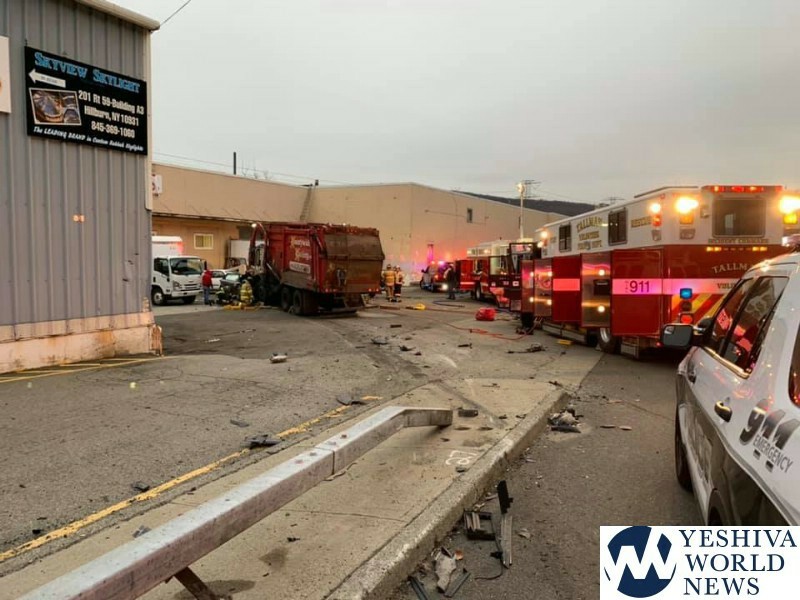 Less than a week ago, a garbage truck driver had to be extricated after he lost control of the truck and slammed into a utility pole not far from the incident today. These trucks look like they are from a different era. Is this a frum company? an accident that didnt involve a mutty’s car service car? shocking.